Social Circle, Georgia, established by Charter, is governed by a Mayor who is elected at large and four City Council members who are elected by district. 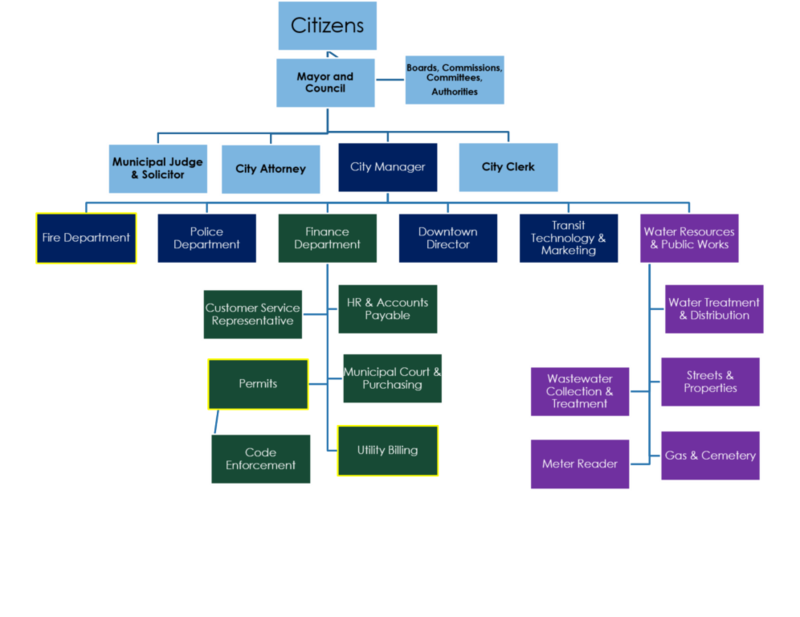 The Mayor and Council members are elected to a four year term, and elections are staggered such that not more than three Council seats are up for election at the same time. It is the responsibility of the Mayor and Council to govern the City which includes the powers to adopt laws, establish a City budget and set City taxes and fees, and define policy and City services, and adopt Future Land Use plans and the City Zoning Map and Ordinance. The City Council meets regularly on the third Tuesday of each month at 6:30 pm to address City Business. Occasionally the Mayor and City Council may hold a work session prior to the meeting at 5:30 pm. The work session is an opportunity for the Mayor and Council to gain information and discuss pending issues, however no formal actions are taken. Agendas are posted at least 7 days prior to each meeting and minutes of each meeting are posted following approval. The Code of Ordinances contains the regulations of the City and is adopted and amended by the Mayor and City Council through a public process at regular Council meetings. The City Council also appoints a number of Boards and Commissions to advise the Council on specific matters. The Mayor Pro tempore is voted on annually and presides in the absence of the Mayor.